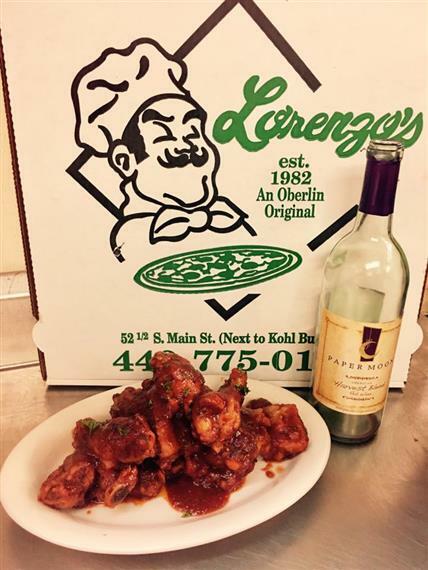 Lorenzo’s Pizzeria has been a fixture in the city of Oberlin for over 35 years. Family-owned and operated, our full-service restaurant focuses on quality and flavor to keep you coming back for more! Pizza, pasta, and sandwiches are our specialty, and we offer gluten-free, whole wheat, vegan, and vegetarian options. Located in the heart of downtown Oberlin, we offer carryout and delivery, as well as a catering menu. Lorenzo’s features a quaint dining room for a fabulous eat-in experience, as well as a picturesque patio for the warmer months. Come check us out! Are you planning a wedding reception, graduation party, anniversary celebration, or other special catering event? We have a full service catering menu, as well as our mobile pizza truck. The Beautiful Flame is a custom-made brick oven installed on a truck bed, designed to travel to meet you anywhere to create our special made-to-order wood-fired pizzas.